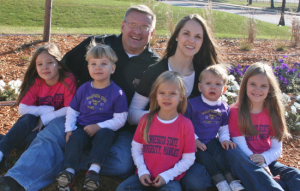 In 2006, the Lord told Johnathan that He was going to send him and his family to Minnesota State University to pioneer a campus church. Two years later, He said, “Go!” The campus church at Minnesota State University is currently 75 percent international students and continues to experience growth. Johnathan and Heather truly believe that the university is the open door God has given them to bring the gospel of our Lord Jesus to the nations. They believe Matthew 28:18-20 (Go therefore and make disciples of all the nations…) is being fulfilled through their ministry by the grace of God.